OSAKA - For decades, schools for ethnic Koreans living in Japan have been divided along pro-Pyongyang or pro-Seoul lines, with their curricula reflecting the differing political ideologies in North and South Korea. 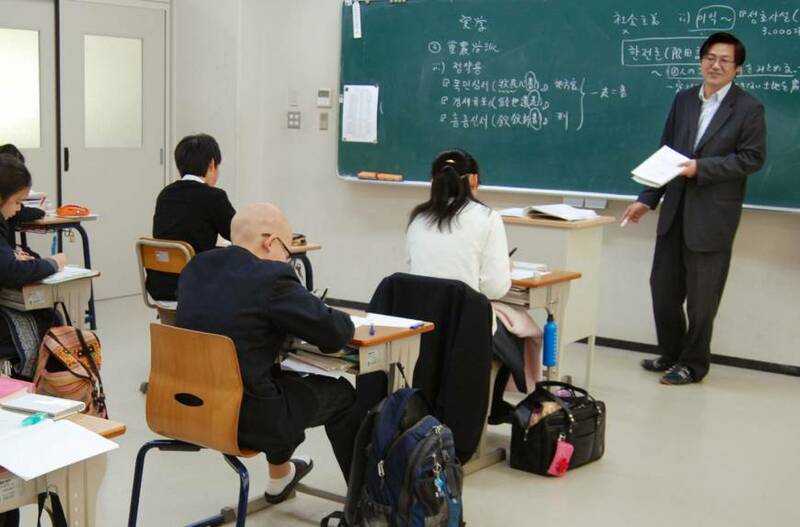 Established in response to such frustrations, the new school in Osaka has adopted a curriculum based on Japanese educational guidelines, with the majority of classes taught in Japanese. It also has classes on Korean language and history, and attempts to cover the peninsula as a whole. In one recent eighth-grade history class, Om taught about agriculture during the Korean dynasties. He also teaches his students about post-Korean War issues on the peninsula and encourages them to discuss potential ways to resolve the conflicts in class. Cho Ri Sa, a 17-year-old student who was born in Higashiosaka, Osaka Prefecture, recalled that one pro-Pyongyang Korean school she used to attend used textbooks published by an affiliate of the pro-North General Association of Korean Residents in Japan. It also used footage in class that emphasized the prosperity of North Korean society. The school also makes an effort to address issues involving diplomatic clashes or differences of opinion, instead of avoiding them. When taking up the territorial dispute over the tiny islets known as Takeshima in Japan and Dokdo in South Korea, Om and a Japanese teacher engaged in a three-hour debate in front of the students, defending both the Japanese and Korean sovereignty claims. Many graduates from the school continue their education in Japan, South Korea, or even at universities in the U.K. and other countries. But challenges remain. While the school has deepened its ties with South Korean educational institutions and flies both the Hinomaru and South Korea’s Taegukgi flags at its campus entrance, it maintains no exchanges with North Korea, given the significant differences in their educational systems, school officials said. The school has also yet to develop a solid financial footing. “We’re up and running thanks to the support of those who see this as an interesting approach and believe in our ambition,” Song said. The students appear undeterred, and while the school’s unique approach is unprecedented in Japan, they seem to believe that the education there helps deepen their self-identity. The students even react coolly to anti-Korean movements in Japan, most notably hate speeches directed against Korean residents recently by right-wing activists. “Have fun,” said Kang Dae Uk, an 11th-grade student at the school.